I’ve been going to these Halloween-inspired month-long events at theme parks for the past five years. I’ve made it something like a tradition for myself. 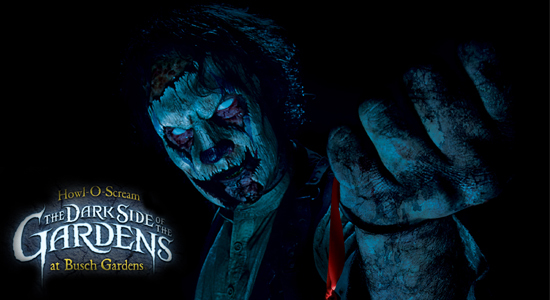 The first one I went to was Universal’s Halloween Horror Nights (HHN). I enjoyed myself, but for the past few years I started solely going to Busch Garden’s Howl-O-Scream (HOS). In choosing between HHN and HOS, I’ve come to conclusion that I prefer Howl-O-Scream for many reasons. Busch Gardens has way more rides, the tickets are cheaper, and there are generally fewer people. HOS never disappoints me. I always have a good time because I’m able to go through the haunted houses and ride roller coasters. As expected, I visited HOS this year. It was fun, but I have to admit that I was a little bummed that they recycled the same theme from last year. I read on their Facebook page that there was a difference between last year’s theme and this year’s. I didn’t recognize it. Not to mention, one of the houses I went through was the exact same as the one I went through last year. That was a turn off, but not a big enough one where I wouldn’t return. This year I went one weekend before the final weekend of HOS. Last year, I made the mistake of going on the last weekend. I had to stand in line for hours before I could go into a house. I think I only made it through two houses, which really upset me. Moving forward I vowed to always purchase a fast pass. On the night I went this year, it wasn’t really necessary because it wasn’t that busy. However, it was nice to skip the line and not have to wait in line for more than 5 minutes. I don’t regret getting the fast pass at all. We were able to get through all the houses, and ride all the roller coasters except for one in about 3.5 hours. That was awesome! I will continue to buy the fast pass from this year on out. It’s worth the extra $35, especially since you get 20% off merchandise, and BOGO photos. I love Busch Gardens and Howl-O-Scream. I always recommend that people go here over Halloween Horror Nights. However, it’s hard to convince some people because HHN is more popular and main stream than HOS. I strongly believe you are getting more of your money’s worth when you go to Howl-O-Scream, especially since I’ve experienced both multiple times. To each his or her own though. Posted on Mon.Oct.29.2012, in Entertainment and tagged afraid, aviation, bogo, busch garden, Busch Garden's Howl-O-Scream, Busch Gradens Howl O Scream, Busch Gradens Tampa, chain saws, chainsaws, Cheetah, costumes, fast pass, florida, fog, fright night, frightened, frightening, gaming, ghosts, goblins, Halloween, Halloween Horror Nights, haunted, haunted house, haunted houses, HHN, horror, HOS, howl, Howl-O-Scream, Kumba, Montu, o, Orlando, ride, roller coaster, roller coasters, running, scare, scare zones, scared, scary, scray nights, scream, screaming, Sheikra, smoke, Studios, Tampa, thriller, transportation, Universal, Universal STudios, Universal's Halloween Horror Nights, witches. Bookmark the permalink. 2 Comments. That house was pretty good! You all look like you have an awesome time scary people!